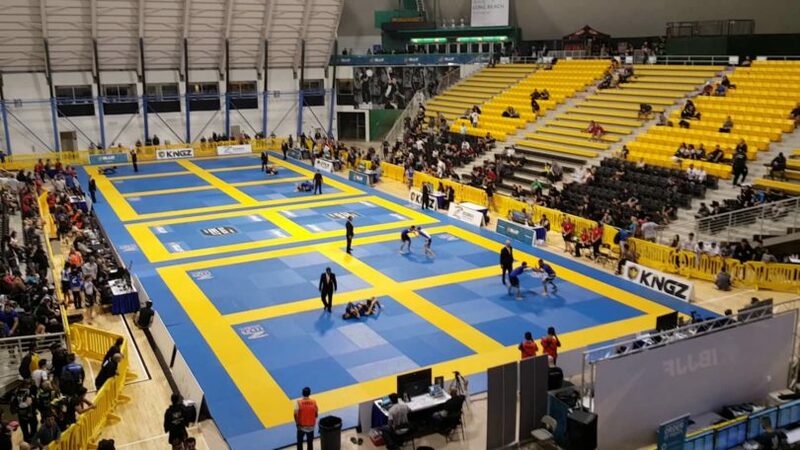 When it comes to major BJJ tournaments, preparation is 90 percent of the battle in winning the event. Everyone who goes there is willing to put their best out on the table in hopes of bringing home a medal, but it’s not all about wanting it. What you are willing to sacrifice and do in order to get that medal starts months before the tournament itself. Training, working out, dieting, cardio, and smaller tournaments are all huge parts of competing in large tournaments. So what are the things to focus on in each of these categories? In this post we focus on and discuss preparing for a Jiu Jitsu battle and what will tip the odds into your favor. Having a game plan is a good idea. It doesn’t have to be exact I.E. Go for ‘this’ throw, attempt a certain submission etc. But knowing what your strong suits are is a good thing. If you have an awesome closed guard but a terrible base on the top of closed guard, going for a single leg takedown might not be your best bet. Or if you know your top game is much better than your guard game, pulling guard isn’t the way to go. Practice whatever it is you want to do. If you go onto the competition mat without drilling a guard pull more than twenty times, don’t expect to get a smooth guard pull (let alone remember to pull guard). Understand what weaknesses you have and work to get passed those. Everyone wants to work on their favorite sweeps, but the escapes and defenses that aren’t as fun are just as important to drill. Decide what in your game needs the most improvement, and focus on that along with your game plan techniques. Setting goals and writing down what you have been drilling is important.By keeping track of what you’re working on you will be able to track your improvements or tweak your drilling plans. Writing down your drilling plans is a good idea too. Once every couple of weeks, figure out what you are going to drill for the next couple weeks. That will keep you from being indecisive and will make sure you drill what is necessary to drill. It isn’t needed to check your weight twice a day in order to make what weight you want to compete at, but thinking about where you want to be six months from now is a good idea. If you are at the bottom of your weight division, you should be thinking about putting on a little weight, or possibly dieting down to the lower division if your body will be healthy. It’s all about what you are most comfortable with, but knowing where you want to be now will take the stress off later. Working out, cardio, and dieting all contribute to where your weight will be, so lets break those down. Cutting weight can be a tricky task as well. While some people decide to dehydrate and cut water weight, that isn’t recommended and can lead to bodily damage along with performance hindering problems. Now is the time to think about losing weight, and starting a diet to do so. No single diet is perfect for anyone, so if you are having trouble getting one that is suiting you well talk to a nutritionist. They will be able to help configure a diet that keeps you healthy, balanced, and slowly drops weight for your competition date. Weight lifting is one of the most effective ways to put on healthy weight for competing. Setting a lifting schedule that helps you achieve what you want is important, and can take a little studying. Watching what muscle groups you are working on is needed, so make sure you are routinely changing your work out, and focusing on different muscle groups that you are trying to strengthen. Cardio is necessary whether you are at a lower weight, heavier weight, or right where you want to be. You can’t win a tournament when you can’t finish a single match without gassing out, it’s that simple. Work on your cardio frequently and regularly. Some great workouts for this are the basics: Sprinting, Jogging, swimming, and cycling. Some less ordinary cardio workouts can include cross fit training, or explosive cardio using weights. I like to set a timer for a minute longer than my match time will be (Match lengths depend on your belt or experience level) and rolling for that long with my training partners. By doing this I ensure I will have extra gas in the tank during competitions, let alone enough. 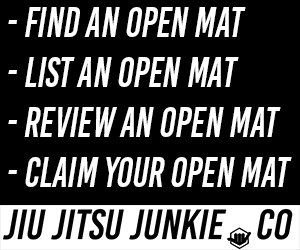 What’s the best way to get better at Jiu Jitsu? Train more Jiu Jitsu. So what’s the best way to get better at competing? Do more competitions! The more competitions you throw yourself into relates directly into the amount of competing experience you have. Getting competition nerves can help in some ways, but overall they seem to weigh on you during fight day. The more you compete, the less this nervousness will affect you. Along with getting rid of those nerves, more competing will give you experience against more Jiu Jitsu games (or fight styles). If you only ever train at your own gym, you aren’t very likely to be knowledgeable about a plethora of Jiu Jitsu techniques. Instead, you will know your own gyms techniques very well. But the more types of Jiu Jitsu techniques and game plans you are used to fighting, the more likely you will know how to beat those game plans at a large competition. Something my Professor tells us often at my gym, “When’s the best time to train? Right now.” So start training for your big competitions today, and be infinitely more prepared to take home the gold.